Join us October 23-24 for the 16th Annual Musculoskeletal New Ventures Conference. Memphis makes its mark as a worldwide leader in the musculoskeletal industry by hosting the 2018 MNVC! Memphis makes its mark as a worldwide leader in the musculoskeletal industry by hosting the Musculoskeletal New Ventures Conference – MNVC. Join us as surgeons, venture capitalists, industry leaders, and researchers gather for this one-of-a-kind opportunity to share information in the fast growing, dynamic and revolutionary field of musculoskeletal research. The 2018 Conference will be held October 23-24, 2018, at the FedEx Institute of Technology at the University of Memphis. 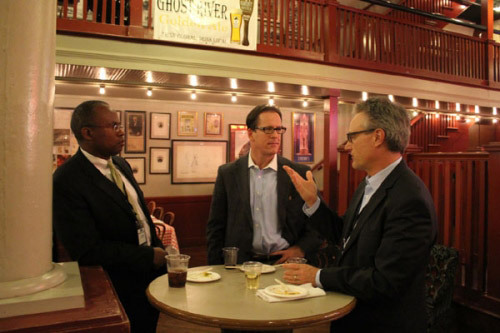 The annual Musculoskeletal New Ventures Conference returns to Memphis October 23-24 for the 16th year, bringing together venture capitalists and industry leaders from around the country to give them a “target-rich environment” in which to network and potentially make deals. That’s how Gary Stevenson, co-founder and managing partner of MB Venture Partners, which is a sponsor of the conference, describes the event at the FedEx Institute of Technology at the University of Memphis. Over twenty startups including two based in Memphis will be presenting over the one-and-a-half-day conference, which will also feature a panel that includes two financial investors and two strategic investors.